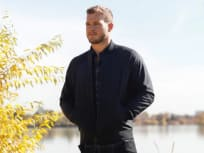 "Season 23 Finale Part 2"
On The Bachelor Season 23 Episode 12, Colton explains what was going through his mind and heart during the final days of his journey to find love. "Season 23 Finale Part 1"
On The Bachelor Season 23 Episode 11, Chris Harrison and the crew frantically searched for Colton who needs to discuss his options now that Cassie dropped out. "The Women Tell All Special (2310)"
On The Bachelor Season 23 Episode 10, the most unforgettable women this season return to confront each other and Colton and offer the lowdown on their battles. 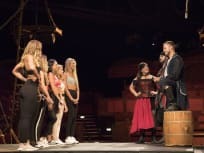 On The Bachelor Season 23 Episode 9, Colton and the three remaining women embark on a journey to the Algarve region of Portugal that is full of surprises. On The Bachelor Season 23 Episode 8, now that Colton's found four amazing bachelorettes he cares about who have his confidence, it's time for hometown visits. 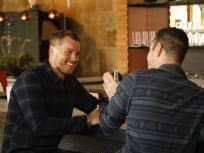 On The Bachelor Season 23 Episode 7, back in the U.S., Colton meets with popular Bachelor Ben Higgins for his advice, sharing his fear of being blindsided. 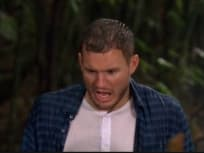 On The Bachelor Season 23 Episode 6, Colton attempts to find an escape during Oneyka and Nicole's shattering showdown, and the contestants travel to Vietnam. On The Bachelor Season 23 Episode 5, Colton and 10 women navigate their way through the wild Thai jungle, but Colton sneaks away with one steamy alone time. On The Bachelor Season 23 Episode 4, Colton and the ladies explore Singapore's colorful street markets, a leech therapy center and taste various exotic dishes. On The Bachelor Season 23 Episode 3, Capt. Colton greets eight women arrive at the arena that showcases the swashbuckling show "Pirates Dinner Adventure."